To minimize costs and maximize the amount available to be granted to the community, the Community Foundation contracts for its investment, accounting and bookkeeping services. We do have a small professional staff in Door County that interacts with our donor clients, local non-profits, and the community at large. Bret Bicoy joined the Community Foundation in 2008. During his tenure, the Community Foundation has become the premiere vehicle for bringing people together to address issues facing Door County. In recent years, numerous projects have been launched under the Community Foundation including the Door County Scholarship Network, the Door County COIN Business Mentoring and Micro-Loan programs, the Women’s Fund, Healthy Water Door County, Discuss Door County, the Door County Sheriff’s Office Crime Prevention Foundation, the Non-Profit Peer Advisors program, the Sturgeon Bay Skatepark, the Little Lake Restoration project, Write On Door County, the GO BO Foundation, and the Door County Civility Project. He was also writes a regular column in the Peninsula Pulse. Prior to returning to Wisconsin, the Bicoy family lived for 4 years in Las Vegas, Nevada where Bret served as President of the Nevada Community Foundation. During his tenure in Las Vegas, the Nevada Community Foundation received $49 million in contributions and secured $71 million in known estate commitments. In 2007, Bret was named a Person of Influence in the annual “Influence” issue of In Business Las Vegas. The magazine called Bret one of the “men and women who make things happen” in Nevada. With his lovely and charming wife Cari, Bret returned to Wisconsin in 2008. After considerable soul searching they realized that there was more to life than always reaching for next rung on the career ladder. They had enough of big city living and wanted to raise their six children surrounded by family and friends in this wonderful place called Door County. In the 1990s, Bret was the Senior Foundation Officer of the Green Bay Community Foundation during which time he helped launch the Door County Community Foundation. 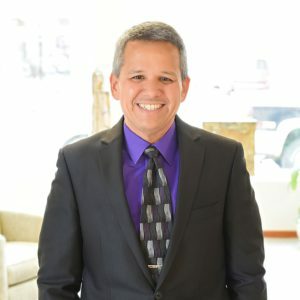 When living in Green Bay, Bret also served one term on the Brown County Board of Supervisors and was twice elected to the Green Bay City Council. As a volunteer, Bret is an active Rotarian, previously as a member of the Marietta Noon Rotary Club and now with the Rotary Club of Sturgeon Bay, Door County’s oldest and largest service club. As his current Club’s Sergeant-at-Arms, it’s his responsibility to “humble” the member of the Club – which is basically gives him permission to make fun of other members and levy fines accordingly – moneys which are used to support the Club’s scholarship program. He previously served as President of the Rotary Club of Sturgeon Bay. Bret is also on the Board of Directors of the Wisconsin Conference of the United Church of Christ. Bret was born and raised in Aiea, Hawaii, the only city in America spelled with all vowels. While he loves this beautiful peninsula, Bret will never quite get over the fact that there really isn’t any good surf in Door County. Then again, perhaps that’s for the best, because nobody wants to see Bret in his bathing suit. Contact Bret. As a fourth generation Door County resident, Julie Haen is a passionate supporter of Door County. Julie lives in Sturgeon Bay with her husband Chad and their children Ashley, Anna, Bailey and Logan. Door County’s State and County parks are a favorite weekend destination for Julie and her family. Camping, hiking, and fishing are just a few of their favorite Door County activities. Supporting Door County’s nonprofit community through volunteerism is at the core of Julie’s family values and one she hopes to pass on to her children. As a member of the Sevastopol Music, Art and Theater Guild, Julie volunteers by fundraising and organizing events to benefit Sevastopol students. Summer weekends she and her family can be found volunteering for area performance centers such as the Door Community Auditorium, Northern Sky Theater and Peninsula Players. Julie is responsible for processing contributions and disbursements from the many Funds of the Community Foundation and for administering the Scholarship Network database. Contact Julie. C hris Henkel brings more than 15 years of professional nonprofit experience to the Door County Community Foundation. She has worked for organizations such as PBS member station WETA in Washington D.C., and has been an enthusiastic advocate for community engagement most recently as Executive Director of the Volunteer Center of Door County since 2003. 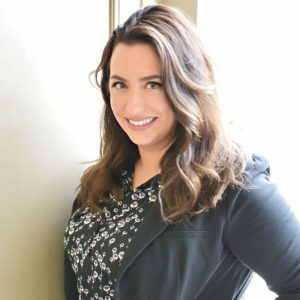 Christine received a Bachelor Degree in Music Education from St. Norbert College in DePere, WI and completed her MBA at Edgewood College in Madison, WI which focused on Corporate Training and Development. As an educator, Chris works to provide experiential learning opportunities for youth and adults utilizing applications such as Perceptual Thinking Patterns, with a special interest in the relationship between learning and neuroplasticity. Her professional experience as a trainer has focused on applying tools from the organizational behavior sciences to improve skills in conflict resolution, relationship development, leadership, change management, and collaboration. Chris lives in Sturgeon Bay with her husband Ross and their daughter Isabella. Christine joined the Community Foundation’s professional staff in 2010. She is responsible for administering the Community Foundation’s granting and other community initiatives. She also provides advice and counsel to those families, individuals, and businesses with a charitable fund at the Community Foundation. Contact Christine. Born and raised in Sturgeon Bay, Door County has always had a special place in Kacie Mueller’s heart. While the rural area was an enjoyable place to grow up she was compelled by all that the big city has to offer. Kacie made the move to Milwaukee shortly after graduating Cosmetology School. Upon arriving in Milwaukee she began work as hair stylist at a high-end salon located in the heart of downtown. After a year behind the chair Kacie was offered a position as the Operation Manager of the salon, which she happily accepted. She managed the boutique-style salon for 6 years and oversaw the complete rebranding of the company. After having her son, Kacie decided that there was no better place to raise him then in Door County. 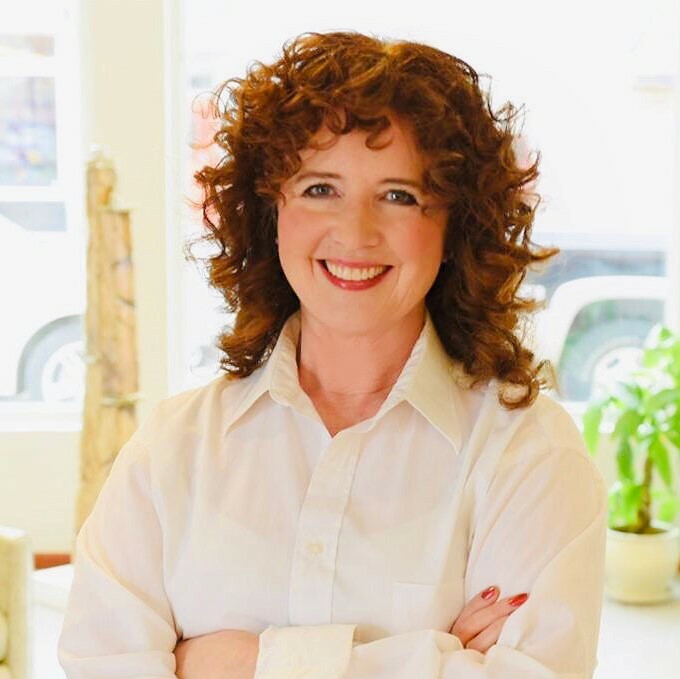 She made the move back to Sturgeon Bay in 2014 to be surrounded by their extended family as well as the cultural treasures and abundance of natural resources which make the Door Peninsula a remarkable place to live. Kacie now lives in Sturgeon Bay with her husband Andrew and their children William and Hazel. 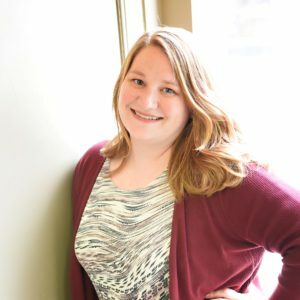 Kacie is excited to be part of the Community Foundation that helps to make Door County the amazing community that it is. 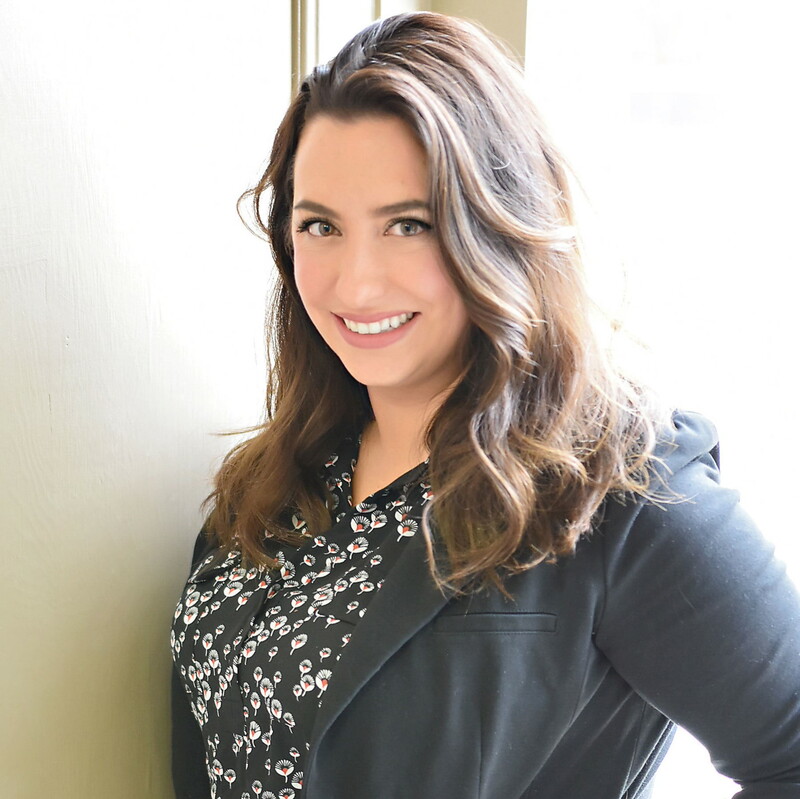 Kacie is responsible for marketing and communications activities, coordinates special events, and is the person who greets you with a smile every time you call or visit our office. Contact Kacie.